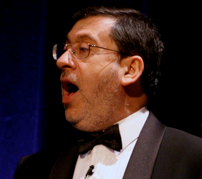 In March 2011 Philip was one of the three soloists in Bryan Kesselman's Voices that should be heard, a choral song cycle written for the centenary of Harrow County School, now Harrow High School. Career highlights include creating the title role of Dreyfus in the musical of the same name. The first performance took place in front of a full house at St Giles Cripplegate in the Barbican, London. Philip also sang in the recording of War Oratorio, by Dominic Muldowney. This major, BAFTA award winning commission by Channel 4 television was first broadcast in June 2007. Philip sang in the Royal Gala celebrating the reopening of the Royal Festival Hall (2007) and Helen Chadwick's The Singing Circle in the Paul Hamlyn Hall at the Royal Opera House (2008). Philip gained early performing experience in light opera including Colonel Calverley (Patience), John Wellington Wells (The Sorcerer), Major General Stanley (Pirates of Penzance), King Gama (Princess Ida), Sir Joseph Porter (HMS Pinafore), Lord Chancellor (Iolanthe), Jack Point (The Yeoman of the Guard), Cox (Cox and Box), and Frank (Die Fledermaus). Currently Philip's singing is mostly in cabaret and concert work with Tonic Choir. Here is a photo of Philip as Gilbert and Sullivan's John Wellington Wells (The Sorcerer) in 1969.